I have a rabbit which I've taken to the vets a good few times and every time I've taken her she ends up being fine again. I get her home and after a couple of weeks she's back to getting sick. She scrunches up and sits hunched, doesn't eat all her food really and first she gets a vet bottom and then her poos get a little loose and she goes really skinny! What is she doing??? And why!!!! Why does she get better after a vet visit? Does she get treatment or medication or something? What kind of diagnosis does the vet tell you? An improper diet. Food that is too high in carbohydrates and too low in fiber will wreak havoc on the digestive processes and the proper balance of hind gut bacteria. So, remove all food for 24-48 hours and feed only timothy or orchard (or other non-alfalfa) hay for that time, along with fresh water 24/7. This should help a lot. Then feed it only freshly milled commercial rabbit pellets, and see how it goes. If things completely straighten up, you'll know it was the diet that was the problem. The rabbit might have a disease such as coccidiosis. To treat this you'll need a proper diagnosis and the correct medication for that diagnosis. This is why I ask what the vet diagnosis was in the past? If necessary, find a veterinarian that is familiar with caring for rabbits (a LOT different than dogs and cats which are predator carnivores). Given your description of weight loss, I rather suspect this second possibility rather than the first one. You need a correct diagnosis. 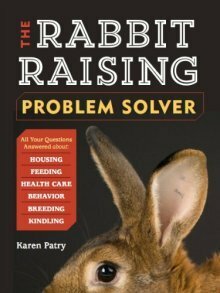 Our book, Rabbit Raising Problem Solver, has a very large section on rabbit diseases, and while it is no substitute for a rabbit-savvy vet (it won't make the diagnosis for you), it does describe the more common rabbit ailments and give various treatment options. Might help you compare symptoms and take a stab at what can be done for the rabbit (in the absence of other professional help). Lastly, clean and disinfect the cage, waterer, and feeder every week. With a disease such as coccidiosis a rabbit's immune system has been known to eliminate the infestation as long as the parasite load in the environment can be reduced to minimal levels.